Chancellor George Osborne is under renewed pressure from the right of the Tory party to cut business taxes and simplify labour laws as we approach Budget time once more. The Treasury itself already states the Government’s intention to “work with business to enhance UK tax competitiveness”. In its document “Corporate Tax Reform: Delivering a More Competitive System”, it has collected a series of reforms into a single programme. 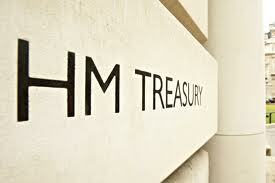 Also within the document HM Treasury sets out a corporate tax road map and highlights the need to reform “Controlled Foreign Company” rules and the taxation of intellectual property and R&D tax credits and the introduction of a “Patent Box”. Amidst all this, Liam Fox (former defence secretary) is reported in Wednesday’s Financial Times (22/2/12) as supporting much more radical policies to promote growth including deregulating the labour market – the latter move would be unpopular with the Liberal Democrats – and spending cuts to fund lower employers’ national insurance contributions. The latest borrowing figures suggest that George Osborne is on track to easily undershoot the Office for Budget Responsibilty’s deficit forecast of £127bn. Having once passed the emotive £1 trillion mark last month, public sector net debt (£988.7bn) is now back below this threshold – according to reports in the New Statesman. What does seem evident though is the fact that, despite this obvious “good news”, there is not a whole load of extra cash to spend on tax cuts. If businesses are being asked indeed expected to “bite the bullet” then at least let’s make sure the bullet is small and stationary! Labour reforms are all well and good, but in the end surely it should all boil down to enhancing a general benefit for all – which probably means a balance between long and short term pain and benefit for both employers and employees alike. Cutting the cost of doing business can also be achieved by cutting the cost of “being a business” – which in turn provides more incentive for potential start ups. Simply reducing costs which are mainly felt by larger company entities, in my view, has never helped small companies and businesses. Targetted reductions or breaks may work much better. Whether the Government has the appetite for this remains to be seen. This entry was posted in Business Financial Planning, Chartered Financial Planner, Financial Planning, Independent Financial Advice, News, Tax Advice and Administration and tagged bagshot, business, business advice, business financial planning, camberley, Chartered Financial Planner, corporate tax, employer national insurance, farnborough, Farnham, Financial Advice, financial planner, frimley, George Osborne, Hartley Wintney, HM Treasury, IFA, labour reform, lightwater, Mytchett, public net borrowing deficit, sunningdale, sunninghill, tax relief, Windlesham. Bookmark the permalink.